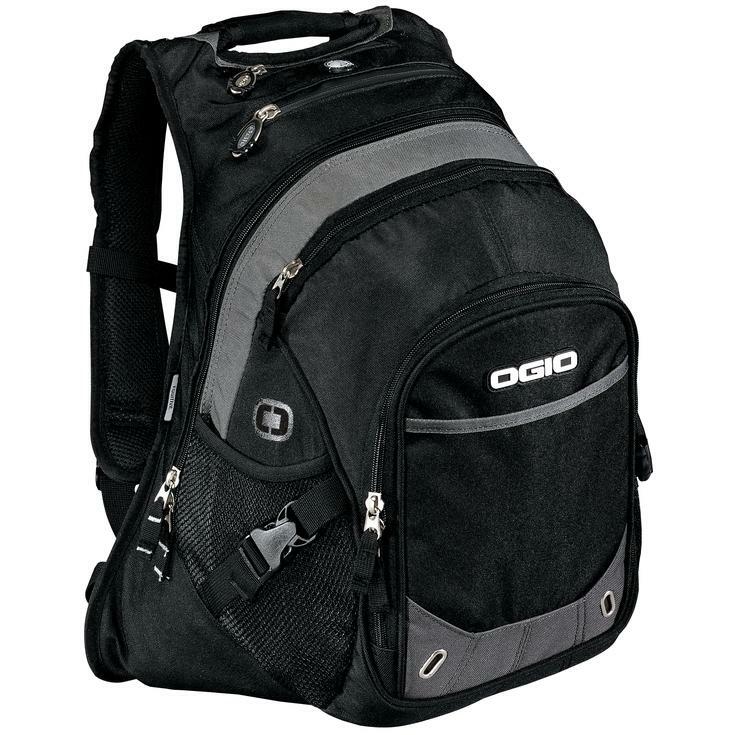 "OGIO 711113 Fugitive Black Back Pack Made from 300 x 900 rhino skin poly/600 denier poly Double entry pack Internal padded laptop sleeve Dual side compression straps Fits most 15"" laptops Dimensions: 19""h x 12""w x 10""d; 2,050 cubic inches One of the top of the line bags from OGIO and is great for hauling books, papers and laptops around. Extra thick padded walls give added protection to the contents. Exactly what you have come to expect from the folks at OGIO! Need and embroidered logo or name? Email us with your design. Custom work is our specialty." Organize and secure your most valuable possessions with this laptop backpack. Featuring a padded compartment for 15.6â€? laptops and numerous zipper pockets, this bag is perfect for keeping everything in its place.